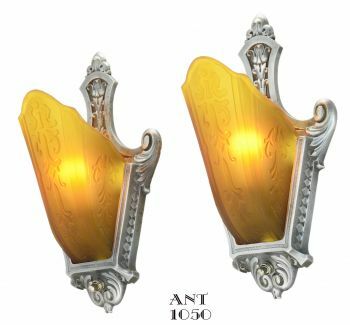 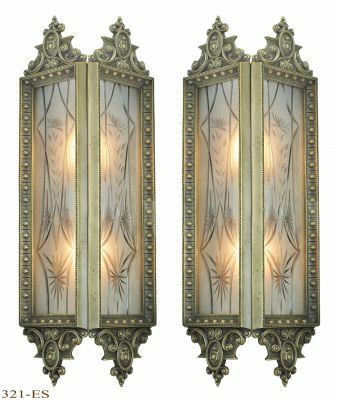 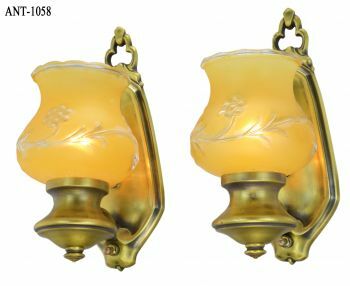 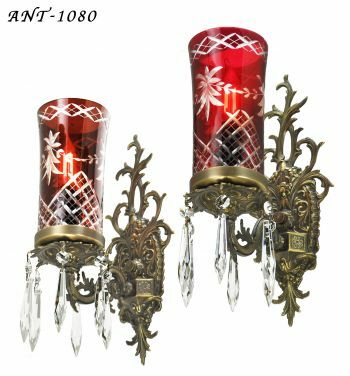 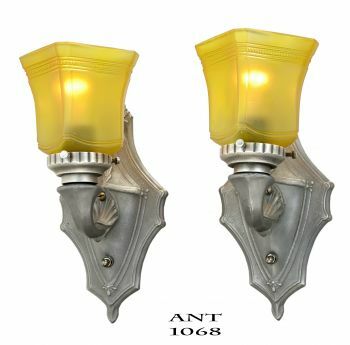 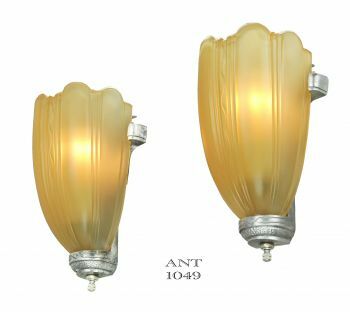 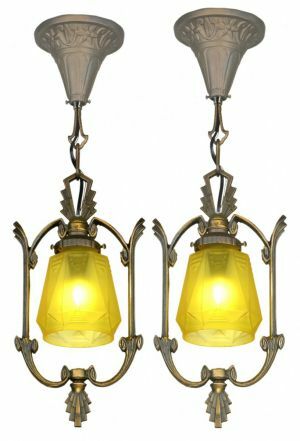 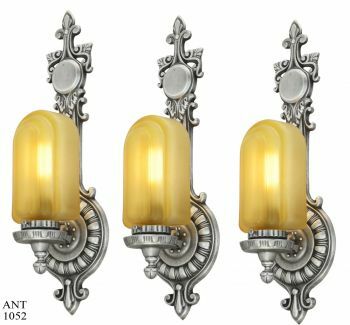 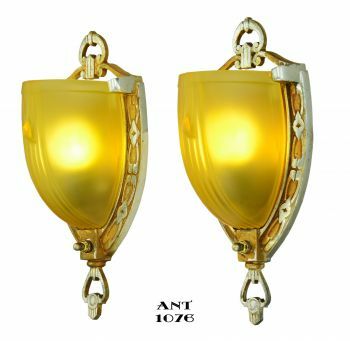 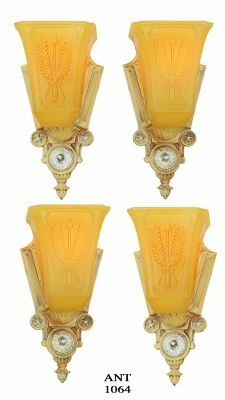 After you say “Deco to the Max,” there is not much more to say about the design of these cute sconces. 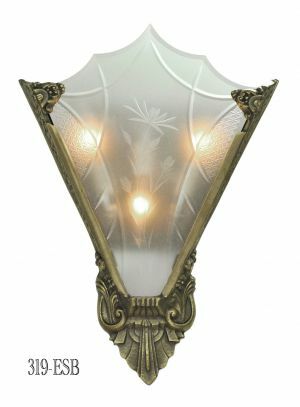 There was a time in the 20's and 30's that folks were not so concerned with hiding the light bulbs of their lighting. 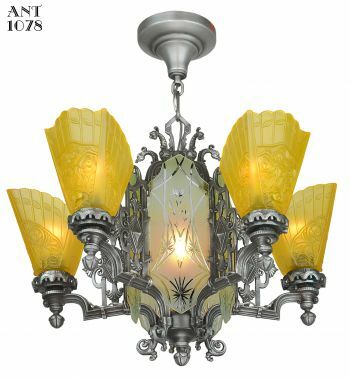 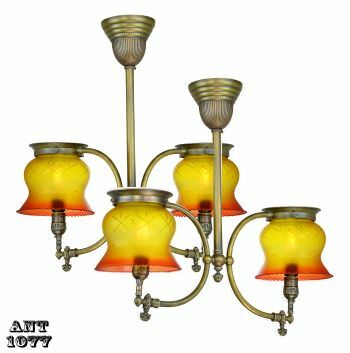 Light bulbs of the time were not so strong or glary, and also often presented some decorative influences. 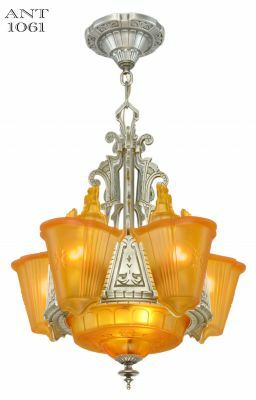 Folks, therefore, were more interested in the decorative aspects of their lights rather than the visual attributes of the light bulb itself. 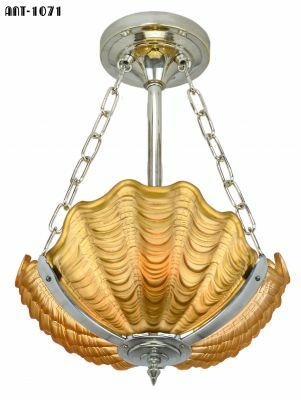 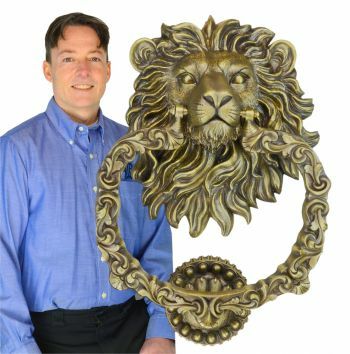 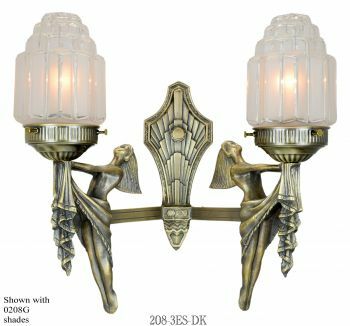 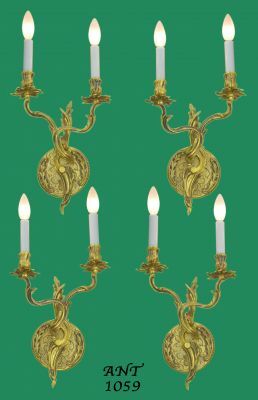 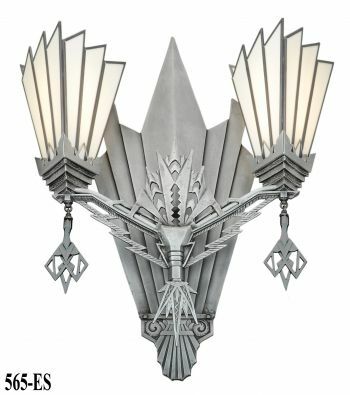 This sconce does exemplify this decorative aspect of those times and it does a fantastic job of doing it. 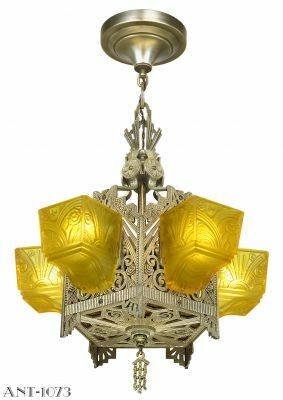 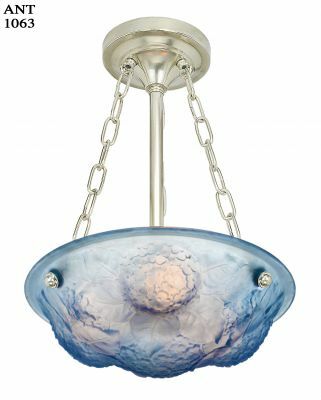 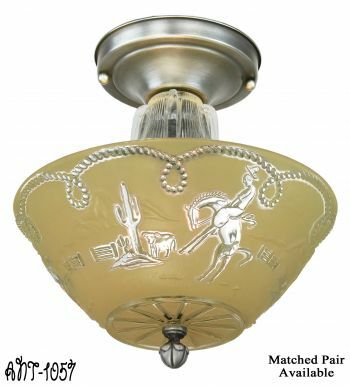 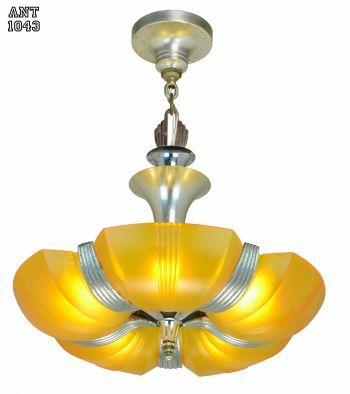 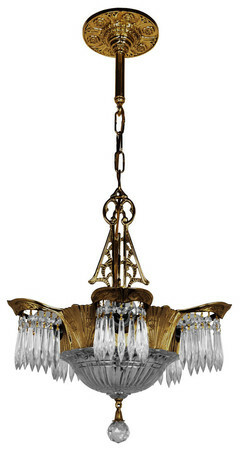 Made from brass and given a lovely antique finish, this is truly a deco star by itself. 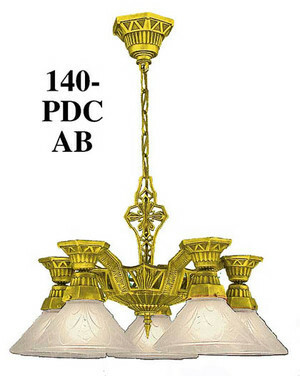 We suggest either a candle decor bulb or our cute little SMD LED 1.6 watt bulb 35C-E26 as shown in our picture. 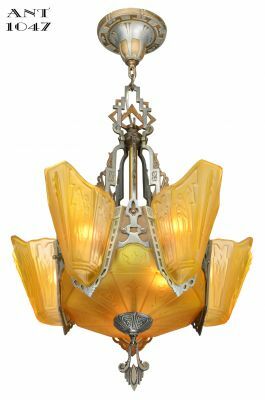 Like to also call to attention the lovely glass panel shade. 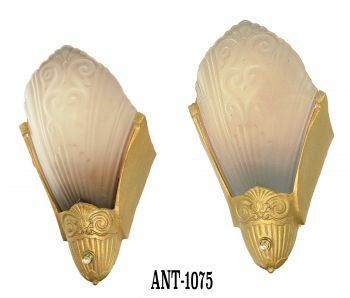 Thicker than normal at over 3/16” (5.5mm) thick, it has a fine beveled edge along with a hand carved center design. That extra thickness of glass just makes the edge of the bevel gleam when alight. 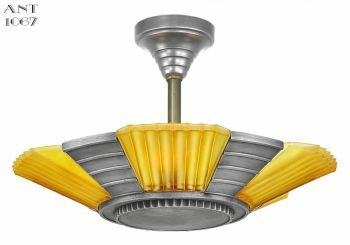 A total quality look. 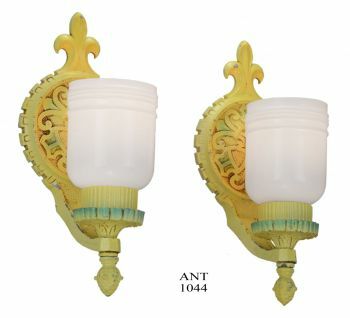 Width: 5” at the widest point. 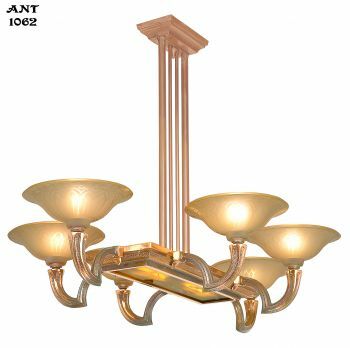 Projection: 3 ¾” from the wall into the room. 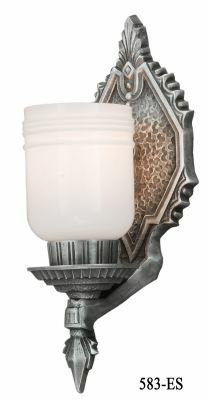 Backplate Footprint: 4” wide by 6” tall.